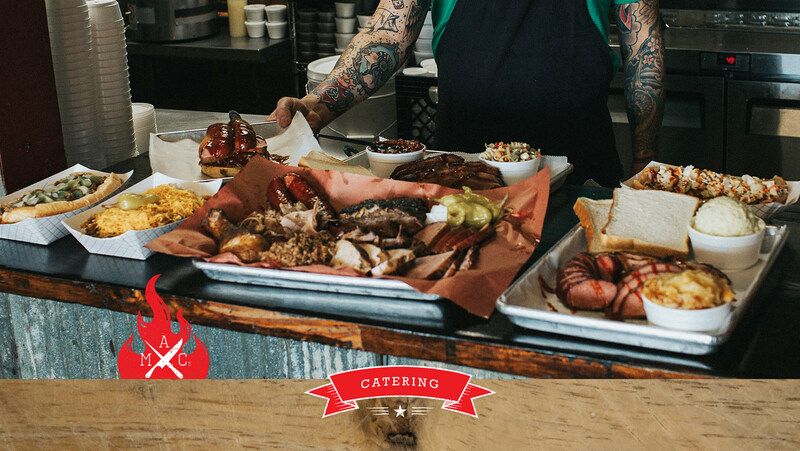 Need some quality grub for your next party, wedding or work event? We can bring our qualified staff to serve your buffet. all you need to do is enjoy your event! Add $2.99 per person. * NOTE: 100 person minimum for full-service. If you don’t see what you have in mind, just ask! We are always happy to customize a dinner just for you! Mac’s Barbeque sauce, plates, napkins, flatware, salt & pepper, serving utensils & toothpicks. Contact Mac’s today with your catering order!! !